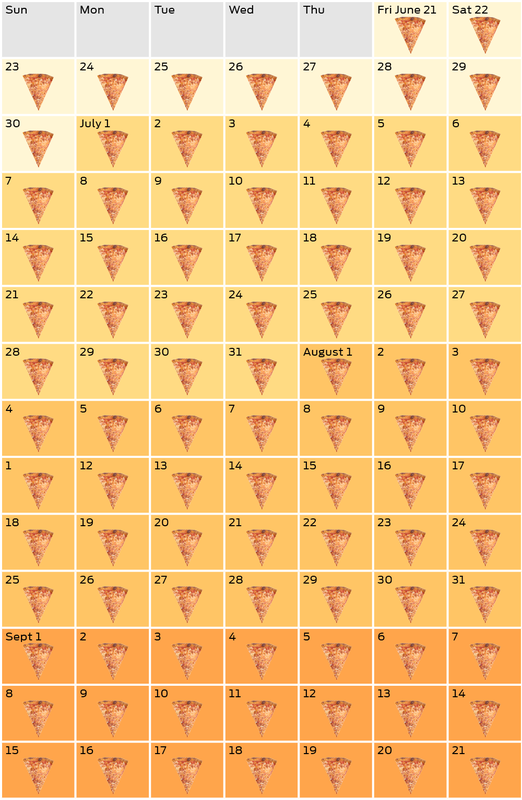 Back in 2007, I began my Pizza Month tradition, eating a slice of pizza every day for the entire month of April. In 2008 – the year I started this blog – I also ate pizza every day in April, but did so at a new pizzeria every day. In 2009, I did the same thing. 2010 was a big year in Pizza Month history. I ate nothing but pizza for an entire month. It was ridiculous, and harder than I imagined, but I pulled it off. Since then, I’ve quietly continued my Pizza Month tradition every year. In 2011, I made a point to only get pizza from pizzerias that I had never previously visited before in my life. In 2012 I followed a similar plan as in 2008 and 2009. During those past two years, I have spent decidedly less energy writing on this blog about my pizza exploits though, opting instead to keep track of my pizza thoughts and activity on Daytum and Twitter. This year, however, I decided I would try to mix things up a bit. So, instead of the traditional month of pizza eating, I’ve decided to eat a slice of pizza every single day for the entire summer season. The Summer of Pizza begins today and continues through September 21. That means a total of 93 days with at least one slice each day. I will also try to incorporate as much variety as I can, visiting new pizzerias and avoiding repeat visits. 93 days is a long time though, so I imagine I will end up with at least a handful of visits to the most convenient pizzerias. I can’t promise that I’ll be posting about every slice on this blog, but please feel free to follow along on at @Pizza_Rules on Twitter, where I’ll be checking in regularly.